Last fall, the Las Vegas Golden Knights joined the National Hockey League (NHL) as an expansion franchise. In their first season, the team has advanced all the way to the Stanley Cup Finals – a truly impressive feat for a brand new franchise. Previously, our Miami trademark litigation lawyers have discussed the team’s struggle to obtain trademark rights for its name. More than a year later, as the Golden Knights are getting ready to play for the league’s championship title, the team has still not been able to register its trademark with the United States Patent and Trademark Office (USPTO). However, as reported by ESPN, the team is now finally moving closer to getting its trademark protection. 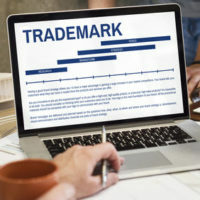 When the Las Vegas Golden Knights initially applied to register for trademark protection, their claim was challenged by the College of Saint Rose. As it happens, the College of Saint Rose also uses the name ‘Golden Knights’ for its athletic teams. Perhaps unsurprisingly, the college also uses a relatively similar gold and black color scheme for its logo and on its uniforms. The USPTO originally agreed with the College of Saint Rose that the Las Vegas hockey team would be ‘substantially similar’ to their teams. Since that time (December 2016), the Las Vegas Golden Knights have been appealing the decision, still pursuing their trademark rights. Recently, ESPN reported that the College of Saint Rose has not filed formal opposition to the Las Vegas Golden Knights’ trademark application. Despite public statements opposing the hockey team’s application for a trademark, the college has declined to follow through on its objections. The only other remaining oppositional party in the case is the United States Army, which has a parachute team named the ‘Golden Knights’. Since the U.S. Army only has a parachute team, the likelihood of confusion between that team and the NHL team is rather small. In other words, the U.S. Army’s claim is not very strong. In addition, ESPN is reporting that Las Vegas and the U.S. Army are deep in talks on a settlement agreement. The agreement would allow both parties to hold coexisting trademarks. As the College of Saint Rose is not aggressively fighting the trademark registration, the Las Vegas NHL franchise will likely be able to file that coexistence application without much trouble. Whether Las Vegas can win the Stanley Cup remains to be seen, but it is looking like the team will get its trademark registration approved. Do You Need Help From a South Florida Trademark Attorney? We are here to protect your rights. At Pike & Lustig, LLP, our legal team has deep experience handling all types of trademark law cases. If you or your company is involved in a trademark dispute, please contact us today to get free legal guidance. We have offices in West Palm Beach and Miami, and our trademark lawyers serve communities all around southeastern Florida, including in Martin County, St. Lucie County. Palm Beach County, and Broward County.